It means most workers these days lack the purchasing power to buy what the economy is capable of producing -- contributing to the slowest recovery on record. Meanwhile, CEOs and other top executives use their fortunes to fuel speculative booms followed by busts. Anyone who believes CEOs deserve this astronomical pay hasn't been paying attention. The entire stock market has risen to record highs. Most CEOs have done little more than ride the wave. There's no easy answer for reversing this trend, but this week I'll be testifying in favor of a bill introduced in the California legislature that at least creates the right incentives. Other states would do well to take a close look. The proposed legislation, SB 1372, sets corporate taxes according to the ratio of CEO pay to the pay of the company's typical worker. Corporations with low pay ratios get a tax break. Those with high ratios get a tax increase. For example, if the CEO makes 100 times the median worker in the company, the company's tax rate drops from the current 8.8 percent down to 8 percent. If the CEO makes 25 times the pay of the typical worker, the tax rate goes down to 7 percent. The California Chamber of Commerce has dubbed this bill a "job killer," but the reality is the opposite. CEOs don't create jobs. Their customers create jobs by buying more of what their companies have to sell -- giving the companies cause to expand and hire. So pushing companies to put less money into the hands of their CEOs and more into the hands of average employees creates more buying power among people who will buy, and therefore more jobs. The other argument against the bill is it's too complicated. Wrong again. The Dodd-Frank Act already requires companies to publish the ratios of CEO pay to the pay of the company's median worker (the Securities and Exchange Commission is now weighing a proposal to implement this). So the California bill doesn't require companies to do anything more than they'll have to do under federal law. And the tax brackets in the bill are wide enough to make the computation easy. What about CEOs gaming the system? Can't they simply eliminate low-paying jobs by subcontracting them to another company -- thereby avoiding large pay disparities while keeping their own compensation in the stratosphere? No. The proposed law controls for that. Corporations that begin subcontracting more of their low-paying jobs will have to pay a higher tax. For the last 30 years, almost all the incentives operating on companies have been to lower the pay of their workers while increasing the pay of their CEOs and other top executives. It's about time some incentives were applied in the other direction. The law isn't perfect, but it's a start. That the largest state in America is seriously considering it tells you something about how top heavy American business has become, and why it's time to do something serious about it. 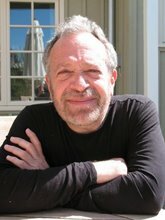 Robert Reich was the Secretary of Labor during the Clinton administration and is a professor of public policy at UC-Berkeley.